Here’s a tough conference. The Big 12 certainly has one dominant team, the Kansas Jayhawks, and many up and coming clubs. It’s clogged near the top of this conference but not at the top. The Kansas Jayhawks are definitely favored to take the division, making them Big 12 champs three years straight. This team is stacked with talent and the play of Brandon Rush could carry them to the Elite Eight and even further into this years NCAA tournament. The clog at the top includes Texas A&M, Texas, Missouri and Kansas State. That’s simply how close it is with these teams. The difference between second and fifth place might be one player here or there or one game here or there. Although the Texas A&M Aggies lost super talent Acie Law, they still have a strong team that includes a solid returning backcourt and young talent in the front. They will battle Texas and Missouri for second. The Texas Longhorns, minus Kevin Durant, still look extremely tough. The Longhorns talent pool is very deep and they could, with a few breaks, vie for the Big 12 title. The Longhorns and Aggies will both go to the NCAA tournament. Kansas State and Missouri are sound contenders. The Tigers of Missouri need discipline off and on the court. The club has one of the best backcourts around. The Kansas State Wildcats have some of the best recruits around. The question is—how long will they stay? This could be the year that the Wildcats make the big move, becoming a major force in the Big 12. Inside, the Texas Tech Red Raiders will have problems against quality frontcourts. Outside, they feature the talented and dynamic Martin Zeno—a major difference maker in our college basketball predictions. The Oklahoma State Cowboys looked like the team to beat in the first-half of last season. Then they became the team just about everyone beat. Which Cowboys will show up this season? The Oklahoma Sooners, Baylor Bears and Nebraska Cornhuskers all look to improve. But in a conference like the Big 12, it’s tough to move up. Bringing up the rear in the conference are the Colorado Buffaloes and the Iowa State Cyclones. There is certainly talent on both teams but depth is lacking. Here are the 6 major conferences as well as a mid major preview for the 2007 season. 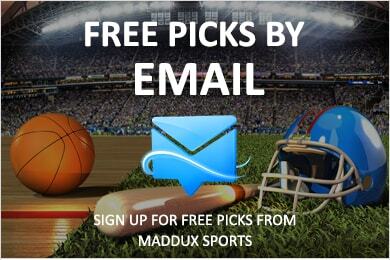 To return to the Maddux's Main NCAA hoops preview page click here. Also check us out for 2008 March Madness Coverage. College Basketball Predictions from Maddux Sports!